2017 was an interesting and very unexpected year for me, both in terms of my personal life, and most definitely in terms of Anime. 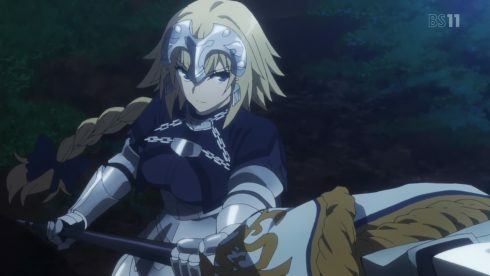 2017 was a year where I heard, more often than not, that Anime was very much on the brink of decline, and that new ideas and experimentation were being sacrificed in the service of sequels and continued cookie cutter series that play to a very alien and odd core demographic in Japan itself. And here’s the thing, I do see some of that actually taking place in Anime these days, and it was definitely evident in 2017 more so than years prior. I think a big reason that Anime has felt so sequel heavy this year, is mostly because there were very few new properties or franchises, that were universally amazing and good. There were a lot of new experiments and attempts this year, and most of them were actually duds more often than they were successes, and it was actually the sequels that I think, nearly everyone could actually agree on being good. By this point, most people have come out with their Top 10 lists for the previous year, and the one thing I’ve noticed in all of them, is that the gamut is a lot more wide spread than in previous years. Which. I think, actually does speak to the health of the industry as a whole. If there are many different kinds of series coming, all catering to different demographics and tastes, then I’d say anime is fine and will BE fine, for the foreseeable future. To that end, I guess what’s so strange about my list this year is the fact that out of all the series I list, I think I blogged just one of them… Which I find exceedingly strange and odd, and kind of sad. It points to the fact that a lot of series that I ended up liking in their initial few episodes, either petered out or just ended in a horrible manner. At the end of it all, I guess this year just felt a bit more hollow and less exciting then previous years past. 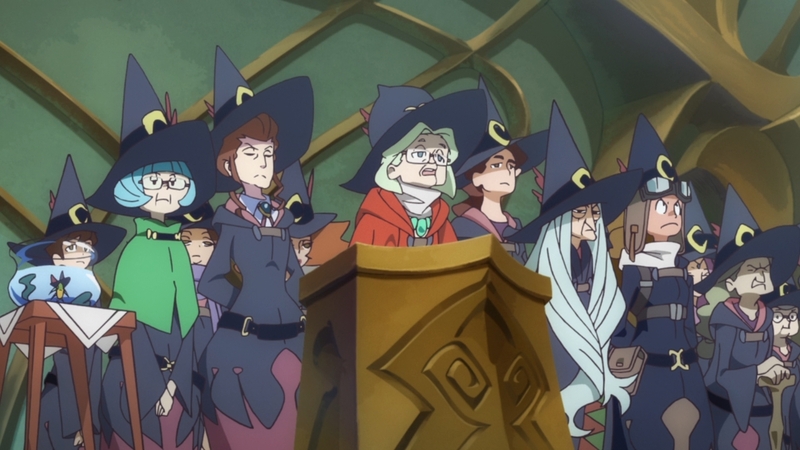 A big part of my struggles of keeping up with and even covering shows, had to do with the fact that even when I was enjoying something, generally speaking, it just never reached the levels of hype that I’ve had in previous years, where I couldn’t WAIT for the next week’s episode. There were two exceptions, and those two series sit neatly at the top of the pack, for that very reason. But enough musing, lets get on with this list. I took a look back at my last two posts for 2016 and 2015, and I’m kind of surprised at how this section gets smaller and smaller each year. I wonder if that’s indicative of the Anime industry as a whole, or perhaps my own fatigue with the medium (I have been watching anime for almost 18 years now, and writing about it for about a decade out of that time). 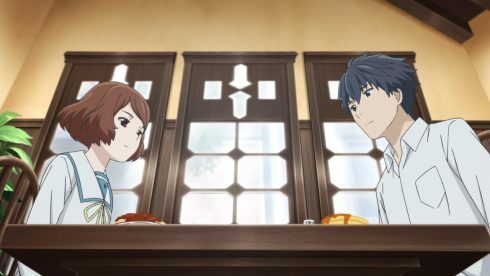 So, in this honorable mentions category, I’d like to give a shout out to Sakurada Reset, a show that was liked by very few. 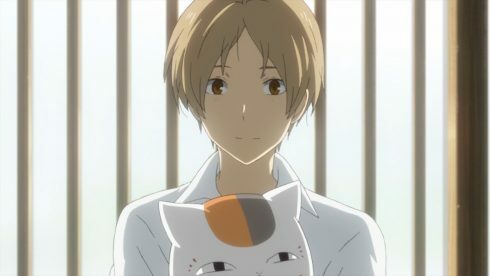 Sakurada Reset was simply put, a show that exemplified the best and worst parts of what a light novel adaptation can be. The show was extremely wordy, often telling more so than showing, but it also had a VERY intricate plot and had such an interesting world that it built up, with solid rules and logic that made the whole thing an interesting mental puzzle to follow along with. I don’t think I can call Sakurada Reset a fantastic show, or even call it something with a niche appeal like I called Beautiful Bones – Sakurako-san’s Investigation, but I do believe that its a show that someone with my particular kind of tastes, will enjoy. Beyond that, the usual suspects are all here. There was another solid season of Natsume Yujinchou this year. I probably should have this show in the actual list, but I think I’m starting to take this franchise a bit for granted because of how it’s become a bit of a constant. In any case, more Natsume is always appreciated, and so I’d at least like to give this show an honorable mention. There’s also the two Netflix series that kind of lost steam and attention because of how odd the streaming service’s release schedule is. Both Fate Apocrypha and Little Witch Academia are series that I enjoyed, but haven’t completed yet (with the former not even being fully out yet). I do want to give nods to both, even I didn’t actually get to enjoy or watch more than the first cour of each. I’m looking forward to going back and finishing both off. 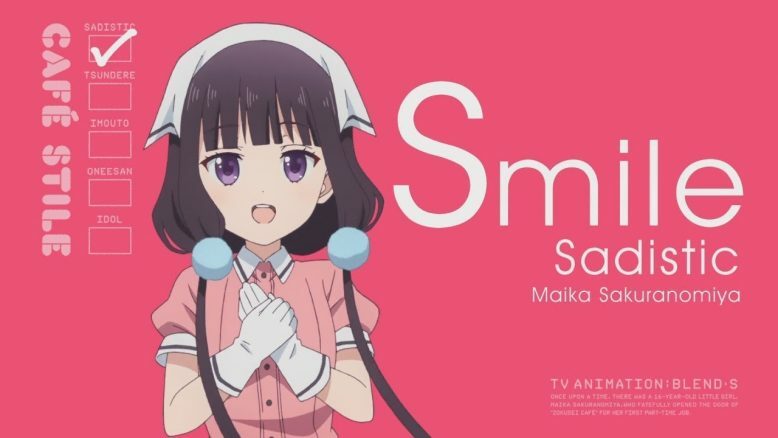 Finally, there’s Blend S. I honestly liked Blend S a lot, even I do regard it as kind of a guilty pleasure. The show is like a much more fetish based, darker comedy version of Working! !, complete with characters that are actually a bit less dramatic and more muted in their appeal. In any case, Blend S was one of those relaxing, B-tier series that I rather enjoyed, and I hope to see more of in the coming years if the show ever continues in animated form. Oh man, where do I even begin with Welcome to the Ballroom? This was a show that completely blew my expectations for it out of the water, and was THE transcendent experience in anime for me this year. I remember watching the first three episodes in one shot when the show had just started airing, and I was more or less completely, utterly hooked. The show went on to tell a story that was just captivating, from start to finish, and provided a look into a world that I would’ve not only never understood before hand, but wouldn’t have even bothered to look into. 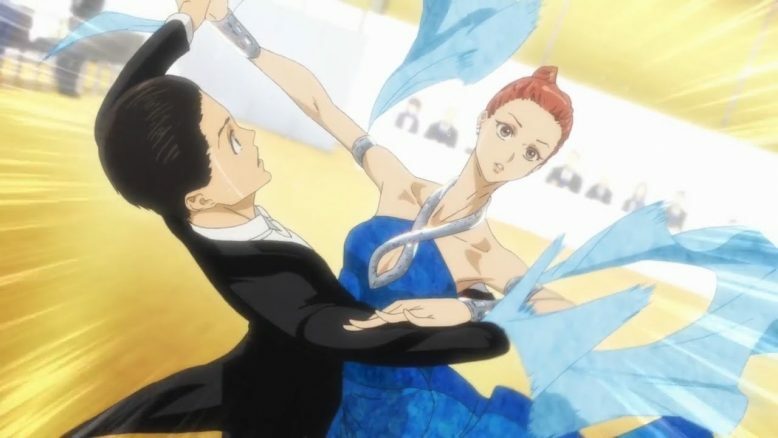 But hey, don’t let this short blurb sell this series short, I actually have a 8000+ word gigantic post explaining why I think Welcome to the Ballroom is the best series of 2017, so give that post a read if you’ve seen the show and are looking for a really deep dive into what makes the show awesome. I have a strong suspicion that Made in Abyss is actually the number one show for a lot of people this year. That makes a lot of sense, because Made in Abyss is not only awesome, but its a very imaginative and engrossing fantasy story that really does breath new life into the medium as a whole. Once a upon a time, Anime was all about these imaginative, far out experiences that really took you into new and exciting worlds. Made in Abyss does that, but it also features some really endearing characters that go through some truly emotionally turbulent stuff in this series. This was a show that I’m glad I didn’t cover (Flower did a fantastic job of blogging it weekly), because there were episodes where I just had to take a few days to digest and truly come to terms with. 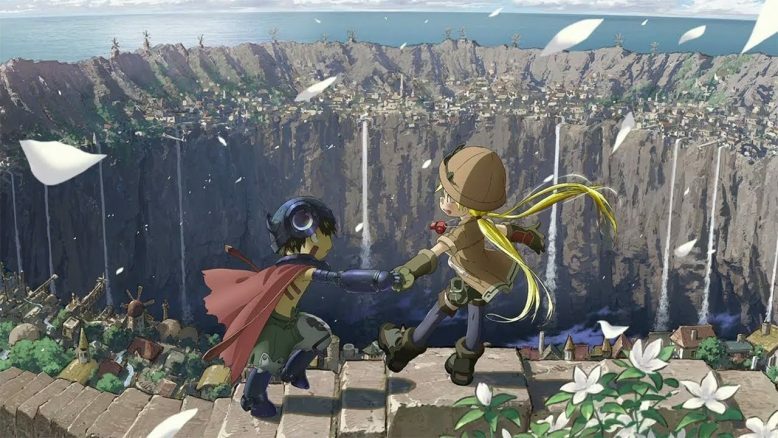 Made in Abyss is that kind of series, it takes you to places you never expected, and sends you on a journey in the kind of way any good and imaginative fantasy story should. I’ll be honest, Tsuki ga Kirei is one of the reasons that this post and list is as late as it is. 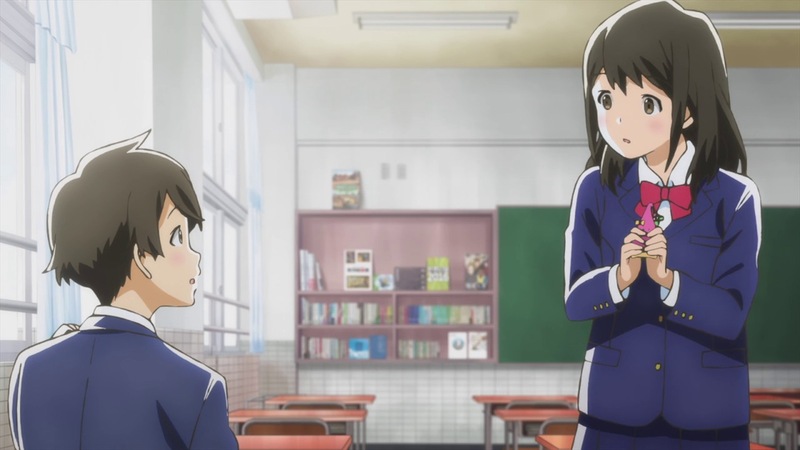 When Tsuki ga Kirei was airing, I absolutely adored it, and the show made me feel things that were well, complex to say the least. It became rather painful to wait for each episode week by week, so I stopped at around episode 5, and then didn’t get to go back and finish the series until pretty much the end of the year. Boy am I glad that I actually took the time to finish this series, because I’d say that as far as romance anime go, this show is one of the best, if not the best. I’ve often wondered on whether we’d get a show that could match up to Maison Ikkoku in raw emotional power and make me invest in the main couple to the same degree, and I’m glad to see that Tsuki ga Kirei is the show that did that, in this very year of 2017. While the animation was a bit spotty, I’d say the story, the characters and THAT ENDING made Tsuki ga Kirei worth every second of its run time. The fact that the show actually did well in Japan via disc sales, on top of being an original anime (no source material), is just a HUGE accomplishment for Studio .feel and the Anime Industry as a whole. 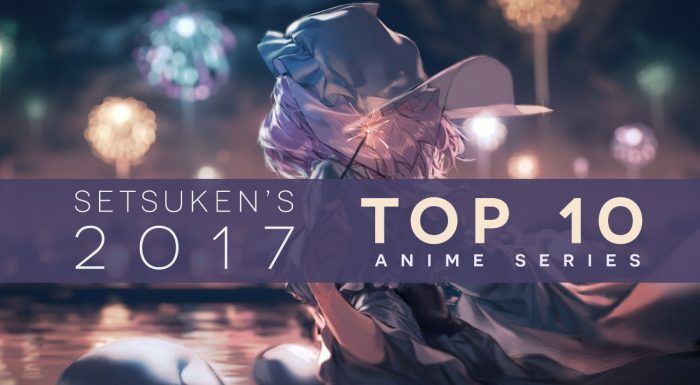 I don’t think anyone will be surprised by Boku no Hero making it on a Top 10 list for 2017, because I mentioned earlier, its the sequels that people have been more or less agreeing on. I’m not diverging too much from the pack here either, as I thought this season of Boku no Hero Academia was actually stronger and more powerful than the first (the doubling of episode length certainly helped things). The major thing that I noticed, this time around, was that the show really created a sense of tension and thrill that the first season had only barely touched a few times, here and there. 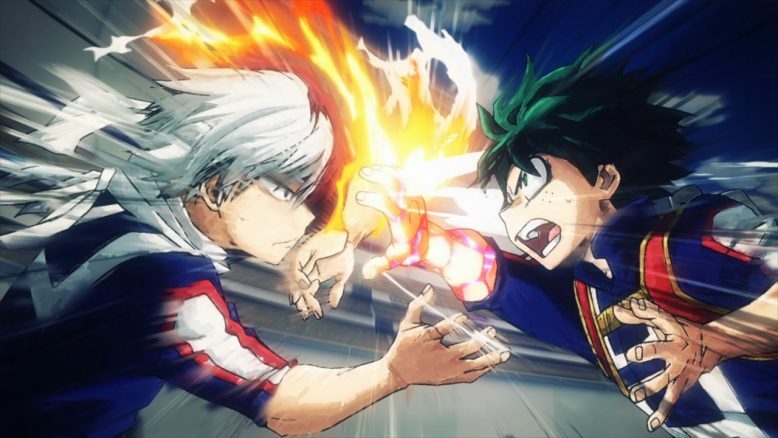 There were just a lot of stellar scenes, moments and scenarios this time around, and I think, with no major competition to speak of, Boku no Hero Academia is going to be the next shounen powerhouse to follow in the years to come. (Flareknight covered this series, much like the first, so once again, I found myself seeing a show covered to a degree where I didn’t feel a need to jump into the conversation about it all that much). As I mentioned in my review for the series, War and Politics are just not topics that anime really covers all that in depth. There’s a reason for that, because these sort of things, while interesting in their own way, don’t make for great entertainment or stories. 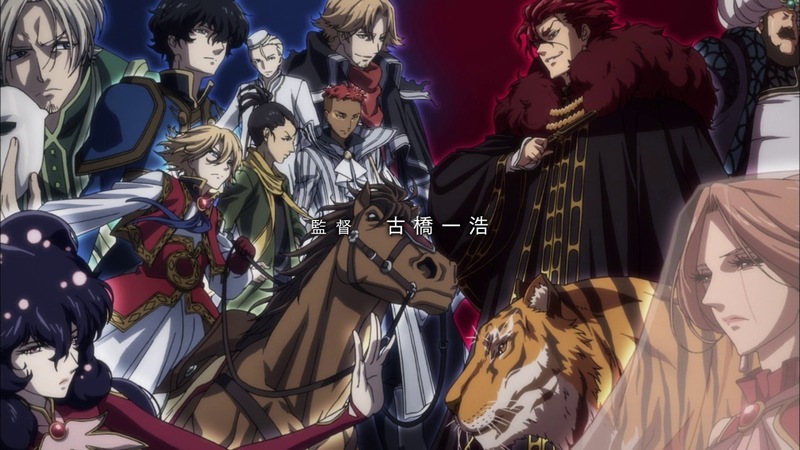 Shoukoku Altair, however, gets as close as I think a series can in creating a very engrossing and entertaining story that focuses on the war and politics more so than a character driven story or something similar. The show’s politics and world ARE the focus here, and its the characters that are working to push that stuff forward, which, is surprising in how effective it all is. I think Shoukoku no Altair is the kind of story that could probably do better as a novel more so than an anime, but I do appreciate and love it for everything it does, and the sort of depth it goes to. This probably wasn’t appreciated by many last year, but I did find it to be one of the best and most interesting new things to come out then. I have to say, I never expected Ao no Exorcist to come back in the manner that it did. I’ve long held the belief that Ao no Exorcist was a franchise with real staying power, and the fact that the original anime series butchered the franchise with its anime original ending has never sat well with me. Plus, reading the manga after the original series, there’s so much lost nuance in that first series. With the way things were, I fully expected Ao no Exorcist to get a full remake, Full Metal Alchemist: Brotherhood style, when it did eventually return. But gone are the days where even established manga franchises can get their proper due, and instead of that, we got a weird adaptation of one of the best arcs of the manga, that just kind of pretended that certain parts of the original series didn’t happen. 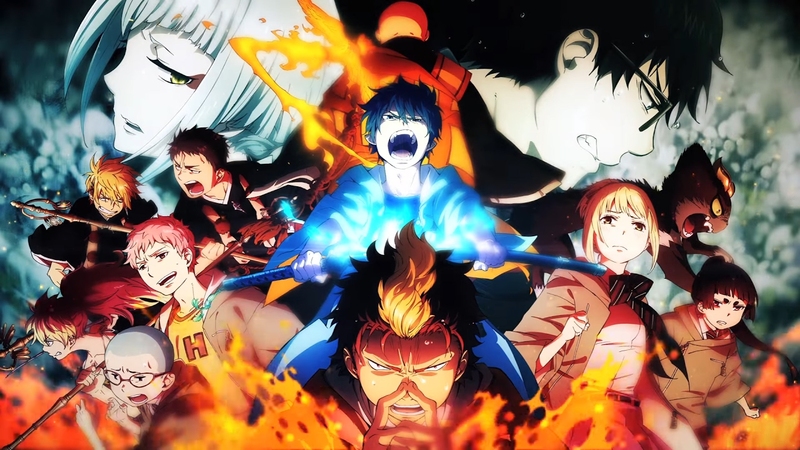 The jarring transition of the first episode aside, I felt like Ao no Exorcist Kyoto Fujouou-hen was a fantastic adaptation of my favorite arc of the manga, and as I said in my review, I hope the franchise continues past this, in animated form. This is a series that I’m sure is a lot higher up on lists for certain types of people. Showa Genroku Rakugo Shinjuu is good, its really good, and I think this was one of the last shows that Dee covered on this site before moving onto her new role as Managing Editor for Anime Feminist. But while I enjoyed Showa Genroku Rakugo Shinjuu a lot, some of the stuff it implied near the end, plus the overall tone of the story itself (as great as it is), had me feeling empty inside by the end of it all. It makes sense, because the show is a pretty dreary tale overall, and one that takes a rather depressed, worn out kind of outlook on the whole Rakugo (Storyteller) industry in Japan. I think its because the show was a bit of a downer, as excellent that it was, that I don’t remember quite as fondly as the myriad of others that do. Man, was Just Because! A real surprise and a treat near the end of the year. This 1 cour series had a very mellow and nostalgic vibe to it, that perfectly captured that odd sense of loss that one feels just as a particularly large part of their life is ending. 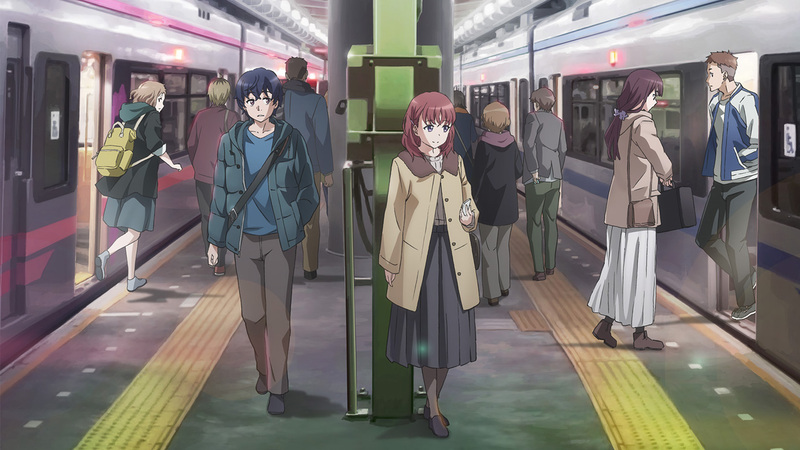 Just Because is special, because it tackles high school romance, but with a focus on the passage of time and the ending of the high school era itself. I don’t think I’ve seen a story that’s ever captured so perfectly the myriad of different emotions and feelings that people experience as they move from adolescence and into adulthood, and the fact that this show is able to not only do that, but do it well, is something that stands out, and will continue to stand out for years to come. Onihei is a series I wish I had covered. I actually have a First Look post draft, covering the first 5 episodes, tucked away on my harddrive that I don’t think I’ll ever finish or post. A Full series review is definitely coming at some point, but let me just say that I was continually impressed by this rather unique look at Fuedel Japan that Masao Maruyama’s new Studio M2 created. The show is a fascinating look at crime, justice and the whole samurai police thing that anime used to feature oh so often. 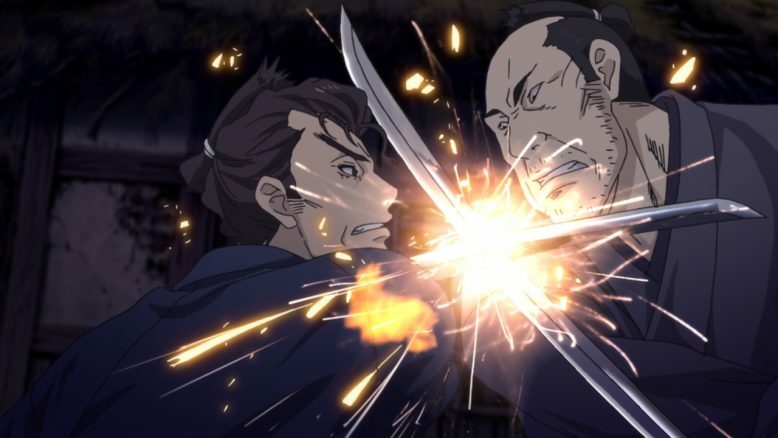 Its surprising indeed that for as much love as Samurai and katana blades have in the larger zeitgeist of popular culture, there’s just not a lot of anime actually covering that particular topic, these days. In any case, Oniehi is a fanatastic show, with truly mature and adult oriented stories that definitely mark a fantastic first showing for Studio M2. Finally, There’s Classroom of the Elite. 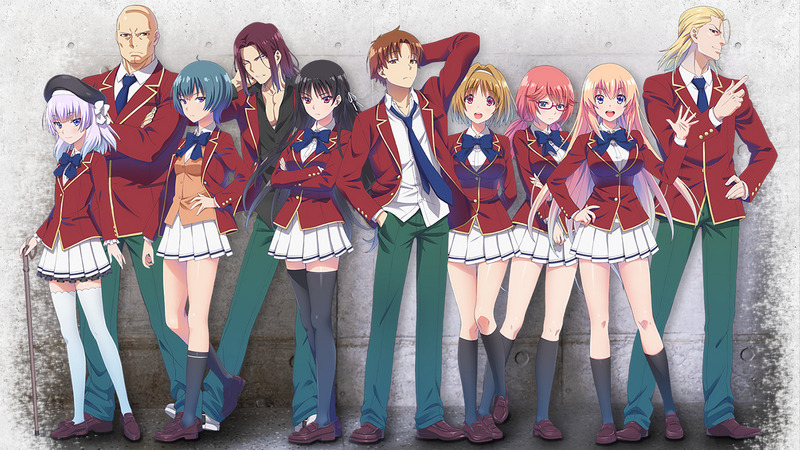 Classroom of the Elite is actually an odd series top put on a yearly top 10 list. Its based off a light novel (which will already have people screaming in horror), and its also got a pretty incomplete story. Its the classic, 13 episode infomercial that’s generally pretty engaging, but has the same sorts of problems that light novel adaptations have. The thing about Classroom of the Elite that impressed me, however, was that the show was not only always unpredictable, but that it ended with such a fantastic plot twist that more or less had me seeing the entire series in a new light. Bad endings can break a show, but smart and clever ones can certainly make them too. Classroom of the Elite is a franchise that I hope continues on at some point, if only because I just want to see where this particularly unpredictable story is headed. And there you have it. Overall, I’d say 2017 was a year that personally, I didn’t enjoy as much as I had expected to. There were just a lot of series that started out strong, but ultimately blew up by the end of it all. But with all these new ideas and IPs coming out, and with Amazon and Netflix basically funding a bunch of original and new ideas, I think the future of Anime is going to be pretty interesting indeed. Looking forward, it seems like 2018 is going to be a lot like 2017 (Both in terms of sequels and in terms of Amazon/Netflix funded series), so I suppose if we can get another 10 series like the ones on the list, then I’m not going to complain.